The makers of Sanjay Leela Bhansali's period drama Padmavati announced on Thursday that the Deepika Padukone starer will release on 1 December, amidst speculations of the release being pushed to February next year. 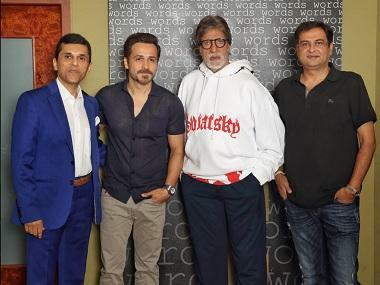 Since it is slated to release on 1 December now, it is all set to clash with Umesh Shukla's comedy 102 Not Out, starring veteran actors Rishi Kapoor and Amitabh Bachchan. The film has grabbed eyeballs not only because the duo play son and father respectively but also because they reunite on the silver screen after 26 years. 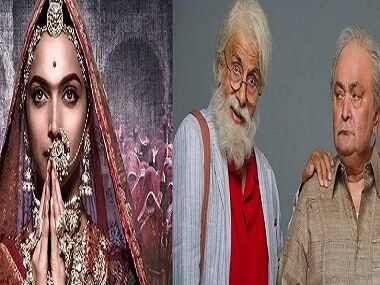 Deepika has interesting equations with both the senior actors. She has played Bachchan's daughter in Prakash Jha's 2011 social drama Aarakshan and Shoojit Sircar's 2015 slice-of-life entertainer Piku. Additionally, Rishi is Deepika's former boyfriend Ranbir Kapoor's father. Initially, Suresh Triveni's slice-of-life film Tumhari Sulu, starring Vidya Balan in the titular role, was also scheduled to release on the same day but the makers decided to release it a week earlier on 24 November, along with Hollywood animated film Coco. Also, the makers of Abhishek Sharma's Parmanu, co-produced by and starring John Abraham, might push the film's release from 8 December to next year, in order to avert competition from Padmavati. 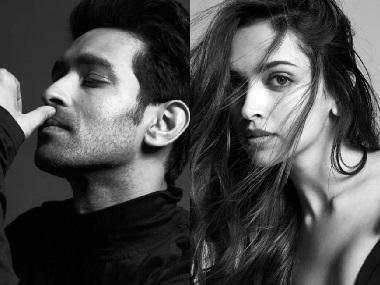 Padmavati also stars Ranveer Singh, Shahid Kapoor, Jim Sarbh and Aditi Rao Hydari. 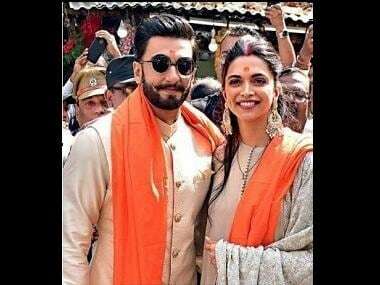 It is bankrolled by Bhansali Productions. DNA reports that the teaser of the film will reportedly be unveiled on Dushherra.